Warning! Product is not microwave safe. I put the smaller size plate in the mimicry wave for one minute and it broke in half. I thought this was a fluke. I tried it again with another plate and it shattered in under a minute also. 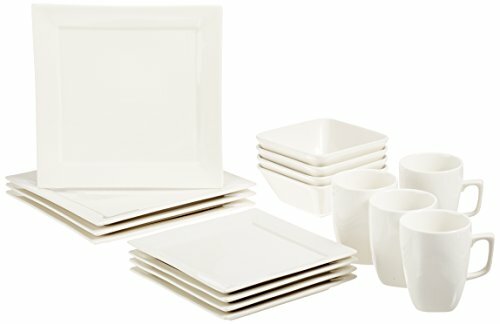 Great basic set of square shaped crockery. I like the size and shape of the plates. The color is a pretty soft white. However there are some dark specks in the glaze which mar the final look.